“Our family is hurting, we are hurting. 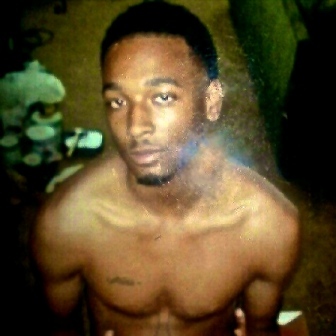 My son was unarmed and he was murdered, and there will be no justice. He will not see justice, there will be no justice for Ezell,” said mother of Ezell Ford, Tritobia Ford. 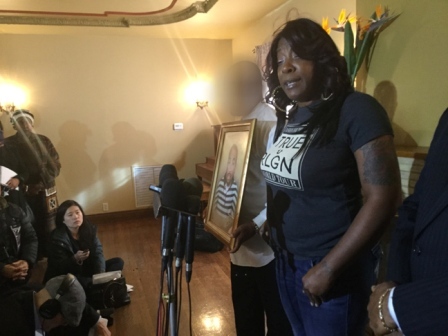 Tuesday, January 24, the family of Ezell Ford held a press conference at the First A.M.E. Allen House to discuss District Attorney Jackie Lacey’s announcement that no charges will be filed against LAPD officers. According to a report released by the Justice System Integrity Division, both officer Wampler and officer Villegas who were working in a gang enforcement detail were found to have acted lawfully in self-defense against Ford, who was diagnosed as being mentally ill.
At the time of the incident, officers believed Ford was trying to get rid of an illegal substance. Officer Wampler placed his hands on the shoulder of Ford who was said to have turned around grabbing the officer by the waist, resulting in both officer Wampler and Ford falling to the ground. The report states, Ford’s DNA was found on Wampler’s holster which was the District Attorney believed corroborated officer Wampler’s statement. The report goes on to say, officer Villegas shot Ford twice and officer Wampler shot Ford once in the back. For the next 20 months, prosecutors and investigators from the Justice System Integrity Division sought out witnesses and conducted a complete investigation. Although the DA’s announcement did not bring justice to Ford’s mother, she is remaining prayerful. “In the end, I am hopeful, I’m faithful, I believe in God. God is a just God and I know God is the ultimate judge and they will pay for what they did,” said Ford.